U.S. stocks moved slightly higher in morning trading Thursday as investors prepare for the latest round of corporate earnings. Financial companies led the gains. Citigroup rose just under 1% and Prudential climbed 1.5%. Rising bond yields, which allow banks to charge higher interest on loans, helped lift the sector. 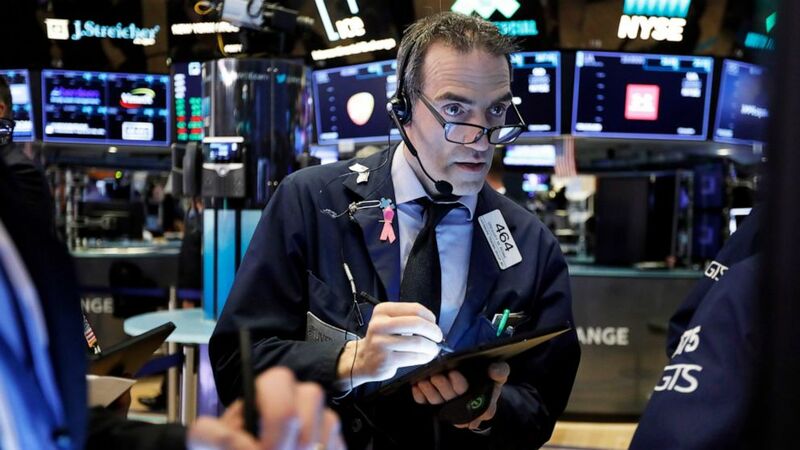 The stronger opening follows solid gains on Wednesday after minutes from the latest Federal Reserve meeting showed that the majority of officials want to keep interest rates unchanged in 2019. Investors want the central bank to take a more laid back approach to avoid triggering a market slump. Corporate earnings are the next key catalyst for investors and major banks, including Wells Fargo and JPMorgan Chase, will report on Friday. Airlines have already started reporting. Delta led a rally in airline stocks Wednesday after reporting solids results. Investors are also keeping a close eye on international developments, including The European Union’s deadline extension for Britain’s departure. Britain now has until October 31 to develop a plan for its exit from the group. KEEPING SCORE: The S&P 500 index rose 0.1% as of 11:30 a.m. The Dow Jones Industrial Average rose 40 points, or 0.2%, to 26,197. The Nasdaq composite was flat. POWER OUTAGE: Tesla slumped 2.9% following news reports that the electric maker would hold off on a key battery plant expansion in the U.S. The stalled expansion follows Tesla’s report earlier in April of a first-quarter slowdown in production and demand. SCRATCHY LINENS: Bed Bath & Beyond, which has been struggling recently and is being targeted by a number of activist investors, slumped 7.8% in heavy trading after the company reported a drop in a key sales measure that was worse than analysts were expecting. NAILED IT: Fastenal rose 5.6% after the maker of fasteners, nails and other hardware pushed past first-quarter forecasts. The company cited strong demand from construction and industrial customers that pushed sales 10.4% higher. It also increased prices for some of its products to combat higher costs from tariffs.